A few weeks ago, I visited my friend at her apartment. It had been at least 3 months since I saw her and since that time, I had attended my first press trip in Mexico and hosted my own event for editors and bloggers for NYFW. She was a first time mother to a beautiful baby girl. Rewind back to high school, to us acting out a scene from the movie Clueless for our acting class. So much had changed, but we had maintained friendship through it all – through the breakups and makeups, the travels, the university years and beyond. I am definitely lucky. I still have a handful of high school classmate contacts in my phone that still remain valid. Of course, my squad has increased in size over the course of growing up thanks to the many roads I have traveled: my weekend job during high school at the mall, my first degree in Nursing, my first nursing job at the hospital, my acting classes I took while I was nursing, my new friends I gained as I moved through different positions at the hospital, friends I met at my gym, my MBA class and all the new people I have met since my book was published, and counting. 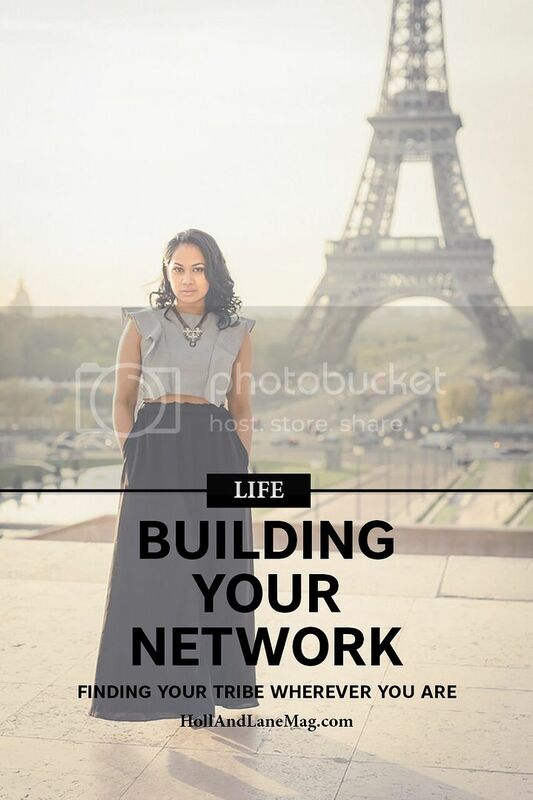 Throughout the years, my ability to connect the dots has gained momentum as I have built my network with those sharing a common experience. But I was not always this sociable. In my early years of high school, I wanted to belong. To something. To anything. Although I wasn’t that great at sports, I was okay at school. I liked acting – but I was too shy. Too worried what people thought. My awful eczema and the fact I was overweight did not help any matters. But by grade 10, my mind shifted. I did belong. I belonged to myself and it was staying true to what I wanted to do that was going to attract my tribe. Fast forward to me at 35. I have friends and acquaintances from all aspects of my life. Some I may talk to more than others at a certain period of time. I think it’s important to acknowledge the ebb and flow of life and sometimes you will loop around and pick up friends or family that fell off the radar years back. Such is true for my cousin from California, 20 years had passed before we reconnected randomly when I found out that she was living in Brooklyn for the last 6 years. All the meanwhile, I traveled back and forth to NY a few times a year. As we grow older, we think that it’s hard to have a network because everyone is busy with their own lives – but sometimes it takes a reconnection from the past for things to move full circle. As I learned back in the 10th grade - acknowledge that joining a network sometimes is harder than creating your own. It’s all a part of growth and making meaningful connections. I’m hard pressed to find someone with the exact same life experiences – but I know people who have shared a moment with me or knew me when ___________. That’s worth its weight in gold. Be grateful, as it’s those people who have shared a snapshot of your life, who can help ground you in your current situation (good or bad). There is a great saying that, “it takes a village”. A strong supportive network can, not only show you who you once were, but also give an insight on the greatness to come.